A great last hole. Avoid the right hand fairway bunker to leave a mid to long iron into the green. 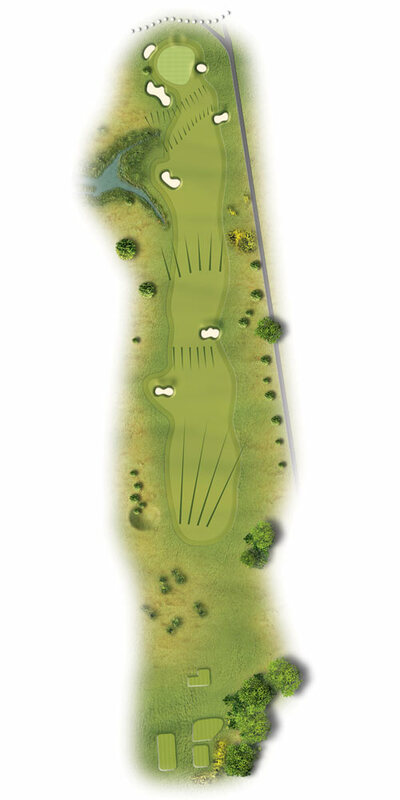 Take enough club to reach this elevated green favouring the right hand side to avoid a large bunker. Playing back towards the imposing clubhouse in the distance, the hole sweeps downhill to the green, take time reflect on your round knowing that a bogey finish is perfectly acceptable.